Posted March 28, 2019 by Larry Lane - VR Business Brokers & filed under Seller Articles. This article is provided by Brent Beshore, courtesy of Axial.net. Let me be clear that I am not suggesting perpetrating fraud or any sort of misrepresentation that could mislead a potential buyer; I am merely suggesting that selection and knowledge of accounting policies can have a significant impact on EBITDA and, consequently, the determination of a company’s value during a sale process. I see too many business owners blindly accept the adjustments that are presented to them by their external accountants. Your company’s financial statement are exactly that — yours! You should have significant input into the policies used in their creation and the ending results that they communicate to outside stakeholders. Posted February 25, 2019 by Larry Lane - VR Business Brokers & filed under Seller Articles. One of the biggest mistake owners make in selling their company is being lured into a proprietary deal. As the parties in a proprietary deal get to know one another, founders often share information with the acquirer that puts them in a compromised negotiation position. The interactions are set up as friendly exchanges between two industry leaders, but many founders reveal key facts in these discussions that end up being used against them when negotiations turn serious. Business owners also become more emotionally committed to selling the more resources they invest in the process and the more time they spend thinking—perhaps dreaming—of what it would mean to sell their business. It’s flattering to receive a call from an executive at a company you respect. Just know that if you accept their invitation of lunch, you run the risk of becoming the latest casualty of the proprietary deal. The following article written by Paris Aden of Valitas Capital Partners. Takeaway: The Due Diligence Grind is often practiced by sophisticated acquirers to reduce the purchase price of a business by citing negative findings during due diligence. The initial dollar figure presented as a purchase price for a business, whether written on a napkin over coffee or floated in a conversation, is not a binding offer. Any potential acquirer will need to conduct a due diligence investigation before they can enter into a definitive agreement to buy your business. Initial indications can be tactically inflated to ensure the acquirer gains access to your confidential information after which this price is systematically reduced, citing negative findings during due diligence — also known as “The Due Diligence Grind”. The most effective antidotes are preparation and competitive tension. Let’s take a closer look at how a prospective buyer can grind down the purchase price. Whether you have received a preliminary proposal from a single party who approached you or you’ve received several non-binding bids through a structured auction process, the nature of the process changes from proactive to reactive as due diligence progresses. Ultimately, each bidder will have different due diligence requirements and the onus is on the seller to satisfy those requirements (or not). The due diligence stage is the acquirer’s opportunity to investigate the business from top to bottom. Although difficult, it is essential to maintain control of the process, despite your reactive position during this phase of the process. The purpose of due diligence is for the acquirer to conduct his or her own assessment of the value of your business and to confirm their initial assumptions. As you submit information about your business to a potential acquirer, they will investigate potential risks, including validating information that may have been presented to them earlier in the process. Due diligence is an essential step for the acquirer to make a binding commitment to a price and to inform the negotiation of the definitive agreement. However, savvy acquirers are skillful at gaming this process to their advantage. Potential acquirers can by cynical. A key due diligence objective is lowering the price of the business by focusing on its flaws. Imagine a customer listing a litany of complaints or deficiencies about your product or service as you are presenting your case for a routine pricing increase. Potential acquirers may attempt to reduce the value of the business either explicitly, by reducing the headline price or, indirectly, by revealing transaction terms that erode the value you receive. Accounting Policies: Suggesting accounting policies, such as revenue recognition, allowance for doubtful accounts or capitalization policy are too aggressive. Normalization Adjustments: Suggesting that non-recurring normalization adjustments really are normal-course business, that market value of the owner’s compensation is understated, that certain expense savings really are buyer synergies that are not appropriate for stand-alone valuation. Budgets and Forecasts: Often the valuation is based on a forward metric, such as forecast EBITDA. The seller’s forecast assumptions may be deemed too optimistic, or as we Canadians like to describe it, a “hockey stick forecast”, where projected growth is out of line with historical growth. Given that the headline value is simply the product of the valuation metric and the valuation multiple, a reduction in the metric will have a proportionate impact on the headline price. Deterioration in market conditions, such as a drop in capital markets valuations or tightening credit. Shifting Risk to the Seller: Out-of-market representations and warranties, indemnities or hold-backs. For example, an acquirer may agree on the ‘price tag’ of the deal, but add a condition that if the seller misses the five-year forecast by one dollar, the price paid will be reduced by 50%. Changing the Form of Consideration: That firm cash price may become payable in IOU’s and store coupons. A portion of the price may become contingent on performance of the business post-closing, i.e. as an earnout. Working Capital: This one is a favorite! Instead of delivering the business with a level of working capital appropriate to operate the business in the normal course, you are presented with a convoluted adjustment mechanism that suggests the business should be delivered with more working capital than needed, resulting in a negative price revision for you post-closing. Or the most egregious of working capital manipulation, the cash dam. Effective Date: Seems innocent enough. Let’s make the effective date at the beginning of this year. The problem is that all of that free cash flow from the effective date until closing now belongs to the acquirer. Another effective reduction in the purchase price. Posted January 17, 2019 by Larry Lane - VR Business Brokers & filed under Sellers. The M&A environment continues to be as competitive as ever. Looking for relief from high valuations and hotly contested auction processes, many private equity firms and strategic acquirers are moving down market. It’s no secret that companies purchased at lower entry valuation generally achieve better returns because of their potential for multiple expansion. This is not lost on many of the largest players in the private equity industry. The venerable KKR has taken an interest in smaller technology, healthcare, and industrial businesses — some generating as little as $25 million — and is currently raising a middle market fund. Two years ago, another giant private equity firm, The Carlyle Group, raised $2.4 billion to pursue middle market buyouts in North America. The fund targets control investments requiring equity capital of as little as $20 million to $200 million per transaction. As the larger private equity firms move down market, so do the lenders. “The larger lenders compete for smaller deals when their sponsor relationships come down. They follow their clients, but it’s not necessarily where they focus,” says Joseph Burkhart, a managing director with Saratoga Partners. The impact of larger players moving down is twofold: first, traditional lower middle market private equity firms are pursuing additional strategies so they can continue to compete as the larger players come in to the space while others are working harder than ever to win deals today. For example, earlier this year Sentinel Capital Partners, which was already investing in the lower middle market, closed on Sentinel Capital Partners VI at $2.15 billion, and Sentinel Junior Capital, a $460 million fund that gave the firm a presence in the mezzanine financing market. Also early this year, Huron Capital closed on its inaugural non-control fund The Huron Flex Equity Fund with $142 million, which gives the firm flexibility to make non-control investments that are smaller than their typical deals. Watervale Partners, a private equity firm that spun out of Linsalata Capital Partners last year, is looking for deals pretty far down market in hopes of escaping some of the competition in the larger markets. Unlike Linsalata—a private equity firm focused squarely on the middle market—the Cleveland, Ohio-based Watervale is looking to make control investments in companies with less than $6 million of EBITDA. The typical transaction value for Watervale will likely be less than $50 million. In today’s frothy market one of the biggest impact of larger firms coming down market is the lack of exclusivity on potential deals. With bankers asking multiple parties to do the proper due diligence on a company, many lower middle market firms are at a disadvantage. While the larger firms can afford to spend with no exclusivity it’s not easy for smaller firms to that. Additionally, buyers are competing on speed to close and larger firms typically don’t have a financing contingency, which gives the larger firms an advantage. While these dynamics have made it tough for lower middle market buyers, conversely, it’s a great time to be a seller in the lower middle market. Case in point: Inverness Graham is squarely a lower middle market firm investing out of its $283 million third fund. When the firm recently sold a business with $23 million in revenues, they got 74 letters of interest on the business. Fifty percent of them were from firm with funds north of $750 million; some of those firms had funds of more than $1 billion. However, Matt Moran, a principal with Inverness, notes that sector focus does make a difference when it comes to the larger players’ appetite. Moran says you can expect to see more firms pushing into the lower middle market around sectors like healthcare services, vertical software, and industrial technology that have large consolidation play opportunities. In hopes of looking more unique sellers many lower middle market firms have turned to specialization. “There’s a huge trend toward specialization. Firms are changing their entire hiring, fundraising, and sourcing strategies. It’s staggering,” says Moran. ““Being a generalist fund isn’t viewed as favorably as it once was. Sector specialization in the lower middle market has become a differentiator,” says Burkhart. It’s important to note, that although more firms are heading toward specialization the returns aren’t proving out to be exponentially larger. According to research done by RCP Advisors, a limited partner that invests in lower middle market private equity firms, the likelihood of earning an outsized return on a transaction executed by a manager whose strategy is characterized by sector specialization is only about 100 basis points higher than a deal that is executed by a generalist fund. The increased competition has made it hard but not impossible for traditional lower middle market firms to win. The market dynamics has forced these firms to stay true to their strategies. “You can’t let what others are doing change your process. Our best deals are when we stick close to our knitting. There is more noise out there and that probably won’t change, but you still have to go after what you want with certainty and conviction,” says Moran. Recently, many entrepreneurs fulfilled their life-long dreams of buying a business. Others have seen their businesses grow gradually over the years. They are pursuits these business owners have enjoyed and cherished. However as a business owner, you have to remember there will be a time you will have to pass your dream along to somebody else – owning the business you have started. Whether you’re selling the business because of burnout, retirement or the desire to move on, when the time arrives to do so, do it right and receive the optimal sales price. Often when you contemplate, plan or pursue the opportunity to sell your business, you discover the selling process doesn’t give you the flexibility needed to make the best deal. But you don’t need to fear, feel manipulated by or go through the resale process alone. You will be at an advantage as an owner if you start thinking about selling the business before you actually proceed. You will easily be able to identify the important elements of the resale process, and have some control over them in the future. Preparing to sell before you move forward will help you better understand the business transaction, your needs as an owner and be in a better position to develop a strategy to make it through the resale efficiently and profitably. There are five obstacles in the resale process you will have to examine as you proceed. With each one, there are some helpful tips every VR business intermediary will recommend to you. This will assist you in understanding the process better and successfully sell your business. Position Your Business for Sale. Determine a Fair Listing Price. Running Your Business during the Marketing Period. When to Consider Selling Your Business. The day you purchase the business is the day you start positioning your business for resale. You might not think so, but thinking about building long-term value for your business is just as important as making money in the short term. You want to maintain detailed records of finances, permits, licenses, equipment and inventory through your ownership. This will be critical when you are trying to sell your business, so don’t neglect this part! There are many methods you can use to price your business. The most common method includes a multiple of cash flow – normally, 1 to 3 times annual cash flow, depending on the type and size of the business. Also included in this method are value of equipment and inventory plus one year’s cash flow, 3 to 12 monthly gross sales and book value of assets. General attractiveness of the business. How the business fits with the buyer’s strategic plan. Size of the business – larger businesses bring a higher multiple. Whether the business is a service business tied to the seller’s relationship with customers, retail or other type of a business with a skilled staff in place. Any VR business intermediary will help you determine the right method to use, given our 40-plus years standing as a contributing innovator of business sales, understanding the marketplace, taking into account the various ways a business can be sold and a comprehensive database of comparable sales. Just because you are planning to sell your business doesn’t mean you neglect it during the process. You have to continue to personally attend to the business and not place too much time and effort in the selling process. If you do, a deterioration of revenue and ultimate the resale value will happen. This is where your VR business intermediary will be beneficial in assisting you in finding qualified buyers, while you concentrate on managing your business to ensure you maintain the maximum resale value possible. Not every potential buyer is qualified to take ownership of your business. Your VR business intermediary will attempt to find a qualified buyer through examining their capital and source of that capital, motivation to buy, needs and expectations, background and skills. Your VR business intermediary will sit down with the buyer, asking all the pertinent questions to determine if the business will transition successfully to them. The right time to sell a business will vary from one owner to another. You may have a complete realization it’s time to move on. Thinking and planning the sale of your business before you decide will be much more satisfying and profitable; whether it’s when the business is doing well, in a non-seasonal downward trend, hitting its peak of growth, deciding it’s time for retirement, family issues, health issues or simply tired of being the owner. This question can only be answered by you. Posted December 19, 2018 by Larry Lane - VR Business Brokers & filed under Sellers. Most business owners, who are looking to sell, make the mistake of not preparing early enough. This can result in not receiving the maximum dollar amount for your business. The selling process should start when you buy your business. You should know the return that you are receiving on your investment so when the time comes to sell you will not leave any money on the table. In order to consummate a successful sale with a qualified buyer, each VR business intermediary has been trained to help you take the necessary steps. Most business owners should be preparing to sell long before they make the decision to move forward. The following are some helpful ways that will keep your business in good shape, and prepare you for when the time’s right to have your VR business intermediary search for a qualified buyer. Every buyer has specific criteria that they are not going to compromise on such as their return on investment. Depending upon the industry, current economic climate and the type of buyer that walks through the door, it’s important to understand what their needs are before negotiations take place. As the seller, you will be able to maximize the likelihood of completing a successful transaction. Buyers will always examine balance sheets first after they sign a confidentiality agreement so they can start reviewing the business. You want to avoid revising a balance sheet after this point. By doing so, you will raise concerns from the buyer about the legitimacy of the business’ financial documents, and increase the chance of the deal falling apart. If there is real estate, equipment, copyrights or patents or excess cash that you do not want included in the balance sheet, remove them before a qualified buyer reviews. As a seller, you will put your business in a better position for sale if you have financials audited. This will help add both legitimacy and value in the business to a qualified buyer. They will want to make sure everything financially is accurate and correct through their due diligence, and this will help move the process along. At the very least, a seller should have a credible CPA observe the year-end inventory and file it away if you can’t afford an established auditor. The cost will be minimal, and this often makes a retroactive audit possible if all other financials are in order. Many businesses have managers assist the owner in its operation. Unless your business is a oneperson show, you must make sure that you have no loose ends when it comes to management. Businesses that appear to operate “fly by night” will not look appealing to prospective buyers. Stable management that has been in place for more than 90 days is important. Many buyers in the market for a business consider management to be one of their top priorities. If you’re shopping in a grocery store, it’s natural to compare different brands of foods to decide which one you’re going to purchase. The same analogy can be used for buyers when it comes to businesses for sale. They will compare similar businesses with yours, so you should maintain a comparison of your financial and operating statistics against those of your competition. Review sources such as trade associations and bankers’ industry profile books. If you own a business in the middle-market, seek out annual reports. A VR business intermediary will assist you in documenting the facts on your competition and doing an objective comparison of what are the similarities, differences, strengths and vulnerabilities. It should be both understandable by someone not familiar with the industry and believable to one that’s well versed in it. Having good and credible publicity clippings will not only help visibility for your business but create value for qualified buyers. In addition to using local and regional press, you can also put yourself in national publications such as Business Week. Many businesses will employ a PR firm or consultant that knows how to generate publicity. Through VR Business Sales, you will be able to work with advisors who have decades of experience in working with both buyers and sellers in all industries worldwide. We will be able to facilitate the selling process from start to finish, providing you with counsel you can trust. Posted December 19, 2018 by Larry Lane - VR Business Brokers & filed under Buyers, Sellers. On November 1, Strategex and Axial brought together a diverse group of private equity investors, family offices, lenders, and advisors in Cleveland for a manufacturing-focused event. Over lunch, the group discussed today’s most prevalent topics in manufacturing, and the direction in which they see the industry heading in the short term. Here are the top-five takeaways from this conversation. 1. An economic contraction is coming, but the short-term outlook is strong. While the group unanimously agreed the next recession is matter of “When?”, not “If?”, the consensus was that leading indicators are overwhelming positive and the economic expansion — now in its ninth year — is expected to continue through 2019 and potentially 2020. However, acquirers are beginning to place more value on targets which have the ability to weather a downtown. For example, targets with a healthy aftermarket business, which tend to be countercyclical, are increasingly attractive to buyers. 2. The labor supply is the dominant challenge in manufacturing today. A near-record low unemployment rate, increasing minimum wages, more restrictive immigration policies, and an aversion to manufacturing jobs among younger cohorts are just some of the factors which have resulted in a severe shortage of qualified candidates. Furthermore, the ability to retain productive employees is becoming more difficult as fewer see manufacturing as a viable long-term career. In response, manufacturing firms are investing heavily in the employee experience, flex benefits (tuition reimbursement, gym memberships, paid parental leave, etc. ), and workplace culture. 3. Industry 4.0 is on the horizon, but implementation will be slow. Deal professionals see the advent of “Industry 4.0” as a potential solution to the labor and talent delimma, but the timeline for implementation is unclear. One component of 4.0, the utilization of computerization and robotics, is starting to take hold, but most don’t see a complete overhaul of traditional manufacturing taking place anytime soon. 4. Increasing interest rates are both a threat and an opportunity. Many manufacturers are experiencing growing pains such as severe backorders, over-utilized facilities and equipment, and obsolete information technology infrastructure. Recent interest rate hikes have deterred some from borrowing to finance capital expenditures and capacity building, putting their ability to sustain growth at risk. On the other hand, many lenders have seen a spike in originations as borrowers attempt to lock in rates given the expectation they will only increase in the short term. On the private equity front, the increasing aversion to debt has led to an increased demand for growth equity investments. 5. The lack of stability is the new norm, and agility is essential for success. Above all, markets seek stability, but current socio-economic conditions are anything but stable. Volatility is everywhere, including tariffs, regulations, trade agreements, tax policy, and fluctuations in government spending (particularly infrastructure spending). Those involved in running manufacturing businesses, however, have come to accept volatility as business as usual. Rather than deferring action in hopes of tides turning, and rather than proactively embracing change to get ahead of the curve, managers agree nimble planning and rapid execution is key to succeeding in this new reality. You’ve built a great business with love and care. It has grown larger than you’d ever imagined. It generates a nice profit. As a result, this has allowed you and your family to live comfortably. Now, you’re ready to sell. You assume there’s a buyer out there. You want someone to pay you a fair price and nurture the company with the same attention you have. Most importantly, selling the business is a major part of your retirement plan. Needless to say, buyers look at businesses differently than sellers. So to achieve the outcome you want, it’s important to think like buyers and understand how they evaluate a business. 1. Cost and terms. What will it take to acquire the business? How much cash and how much debt? What are the deal’s terms and conditions? There’s one standout issue: the amount of cash required to make the deal. By decreasing the cash requirement and increasing the acceptable debt portion, a seller can make its company more attractive — and perhaps even increase its selling price. The biggest factor directly affecting a deal’s attractiveness is the asset base. Simply put, the more the buyer can borrow against (or for post-transaction capital), the less cash it needs upfront. As collateral, banks usually accept land, buildings, equipment, inventory and accounts receivable. Many entrepreneurs have purchased the land their business resides on and leased it to the company. An often unanticipated side effect is this structure reduces the company’s asset base. 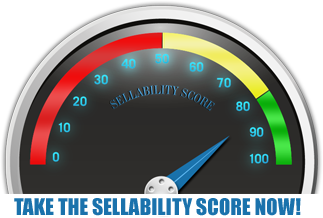 As a result, this decreases the amount of debt leverage the seller can obtain. Sellers armed with solid responses to these types of continuity concerns are more likely to get their desired price. Even if you don’t want to sell your business for a few years, take steps now to ensure it can run smoothly without your personal involvement. That independence could be worth millions when you sell. 3. Growth. Are there unexploited opportunities? You may have focused your sales efforts in one geographic region, but there may be many opportunities to take the product national or international. A buyer will pay more for the business if they believe it can increase revenues substantially over one assuming the current owners have already maximized opportunities. It may seem counterintuitive, but the things you may be most proud of can work against getting the best price for your company. Not many entrepreneurs like to boast their company could run just fine without them. They don’t want to seem like they’ve failed to capitalize the numerous opportunities out there as an owner. Yet these may be the very factors buyers seek, along with lower cash requirements. Contact VR Business Brokers today in understanding how to best present your company for sale.